GM is shipping Chinese-made Buick Envision crossovers to the U.S.
China's passenger vehicle exports grew for the third consecutive month, rising 13 percent year on year to 43,000 in June, according to the China Association of Automobile Manufacturers. While major Chinese exporters such as Great Wall Motor Co. and Geely Automobile Holdings posted a drop in shipments last month, General Motors and Volvo Cars boosted exports to North America. Volvo started shipping the S60 sedan to the U.S. last year. The company says it will export 5,000 Volvos a year to the United States. 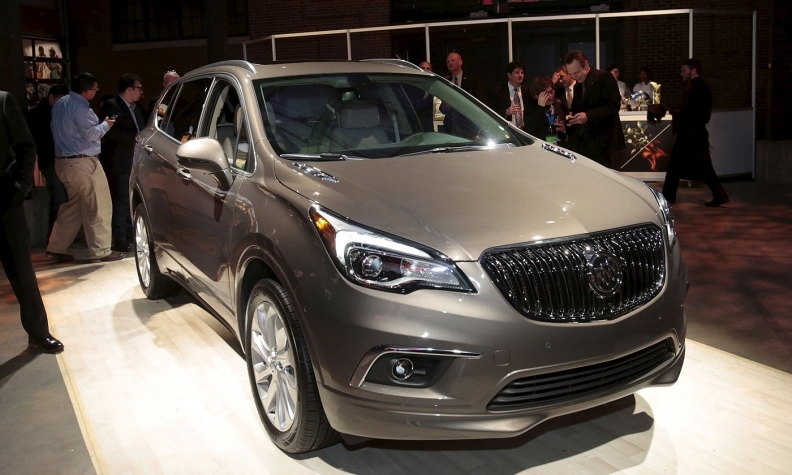 GM plans to ship 30,000 to 40,000 Chinese-made Buick Envision crossovers annually to the U.S. Domestic Chinese automakers including Geely and Great Wall have struggled to maintain exports as their primary overseas markets -- which include emerging economies in Russia, the Middle East, North Africa and South America -- suffer from weak economic growth. Last month, Great Wall's exports plunged 51 percent year on year to 1,099 vehicles while Geely's shipments overseas contracted 50 percent to 955 vehicles. Due to a sharp decline in the first quarter, China's passenger-vehicle exports dropped 7 percent from a year earlier to approximately 200,000 vehicles in the first six months.